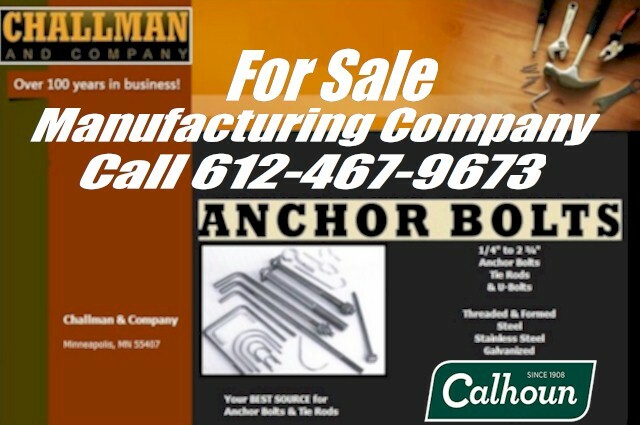 Challman & Company located in Twin Cities. A 100 year old business, the current owner, of Challman & Company is retiring after 20+ years. Forging, forming, fabrication and more. Huge business opportunity!